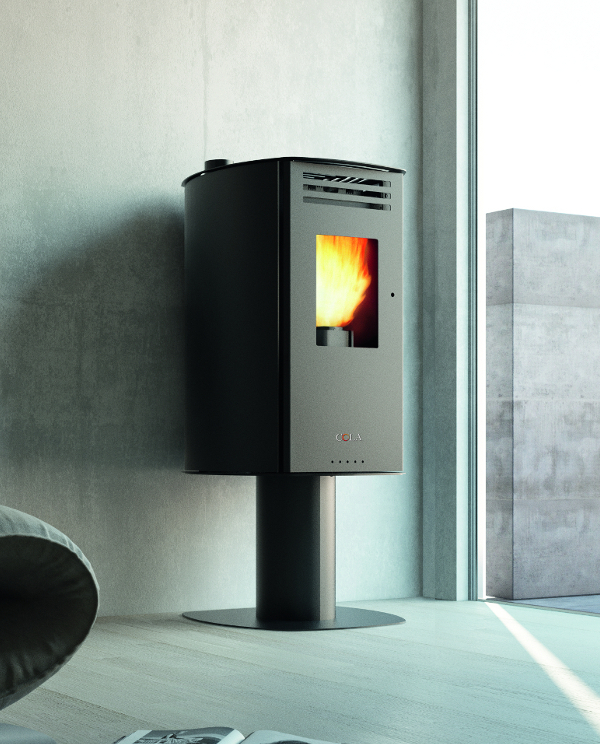 Ventilated pellet air stove in painted steel with optional plinth. Offers the possibility of excluding fans in comfort mode. Remote control with incorporated ambient probe, pull-out ash pan and handle. Top and bottom fume outlet. Available in four colours.